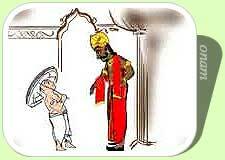 Bali, or rather King Mahabali, was very strong and extremely pious. Powered by a boon granted to him by Lord Brahma, Bali as invincible and even gods failed to defeat him in battles. He had conquered the whole earth and became its master.